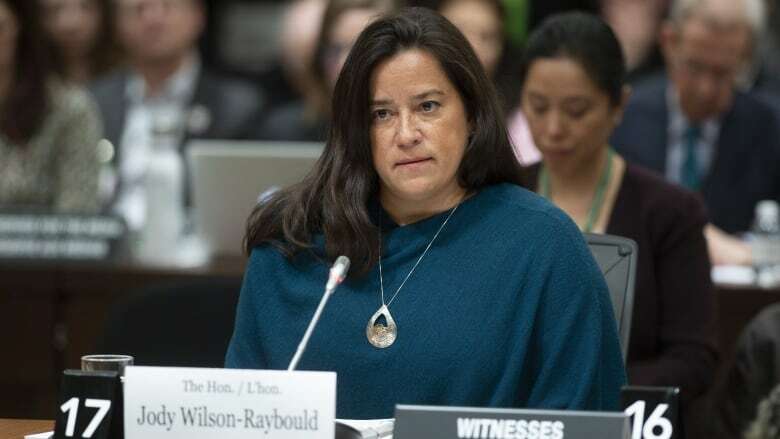 Jody Wilson-Raybould says she will provide a written statement and copies of text messages and emails to the Commons justice committee that shut down its probe into the SNC-Lavalin affair. Jody Wilson-Raybould says she will provide a written statement and copies of text messages and emails to the Commons justice committee that shut down its probe of the SNC-Lavalin affair. This week, the Liberal MPs who hold the majority on the committee voted to close down the inquiry without recalling the former attorney general and justice minister to testify a second time in response to other witnesses. In a letter today to the committee chair, Liberal MP Anthony Housefather, Wilson-Raybould said she would respond to a request to provide copies of texts and emails she cited in her Feb. 27 testimony before the committee. "Related to these requests, I also have relevant facts and evidence in my possession that further clarify statements I made and elucidate the accuracy and nature of statements by witnesses in testimony that came after my committee appearance," she wrote. "As such, in response to these requests, and consistent with the standard practice of the committee of receiving written submissions, I will be providing a written submission to the committee in relation to matters within the confines of the waiver of cabinet confidence and solicitor-client privilege." Housefather said submissions to the committee are not automatically made public but it's the committee's general practice to do so — except in the case of personal information, such as cell phone numbers or email addresses, which would be redacted. Wilson-Raybould has insisted she remains restrained in what she can say due to the limits of the waiver. Trudeau was asked again today why he hasn't granted her a full waiver. He said the existing waiver allows her to speak "entirely and completely" about the matter, and noted she spoke for four hours before the justice committee. "This is something that we have taken very seriously as a government and will continue to take seriously, but there has been a full airing at the justice committee of the matters involving the former attorney general and minister of justice and the SNC-Lavalin file," he said during an event in Thunder Bay, Ont. where he was promoting skills training measures in this week's budget. Political wrangling over claims that PMO officials and others in government inappropriately pressured the former attorney general to override a decision to prosecute SNC-Lavalin on bribery charges overshadowed the Liberal budget this week. The Conservatives triggered a marathon vote in the Commons that lasted 31 hours to protest the Liberals' decision to shut down the committee before bringing back Wilson-Raybould. Adding to the uproar was a Maclean's interview with former cabinet minister Jane Philpott, in which she insisted there is "much more" to the SNC-Lavalin story and the Canadian public deserves to know more. In the Liberal caucus, patience with Wilson-Raybould and Philpott appears to be wearing thin. Environment Minister Catherine McKenna said today that if Wilson-Raybould has more to say, she must do it now so the government can get back to focusing on priorities like fighting climate change, combating racism and ending U.S. steel tariffs. "That should happen right away. If there are serious concerns, we should all be concerned and we've also got to continue in delivering what we're delivering for Canadians," she said. On Thursday, Liberal MPs acknowledged the ongoing controversy is harming the party's reputation and electoral chances. "It's one thing to take a hit from the opposition or circumstances beyond caucus or cabinet. It's another thing to take political hits from your own people," said Toronto-area MP John McKay. Conservative House Leader Candice Bergen said Wilson-Raybould's letter proves she has much more to divulge. She repeated calls for Prime Minister Justin Trudeau to grant a full waiver of cabinet confidence and solicitor-client privilege so she can say more. "The longer he continues this coverup, the longer he moves heaven and earth to keep himself protected, the worse this gets for him," she said.